This female Black-tailed Skimmer dragonfly was patrolling a hedgerow at Windmill Farm Nature Reserve on The Lizard peninsula in Cornwall at the weekend. Once it had caught an insect it would land on bare soil to rest in the sun and eat its prey. 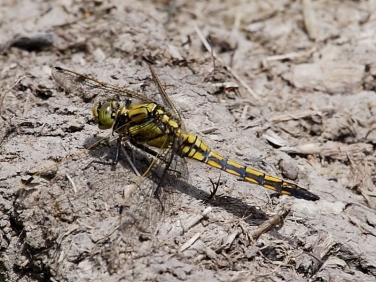 The most common dragonfly seen was the Four-spotted Chaser (Libellula quadrimaculata) with many hunting around the pools and the females busy oviposturing. 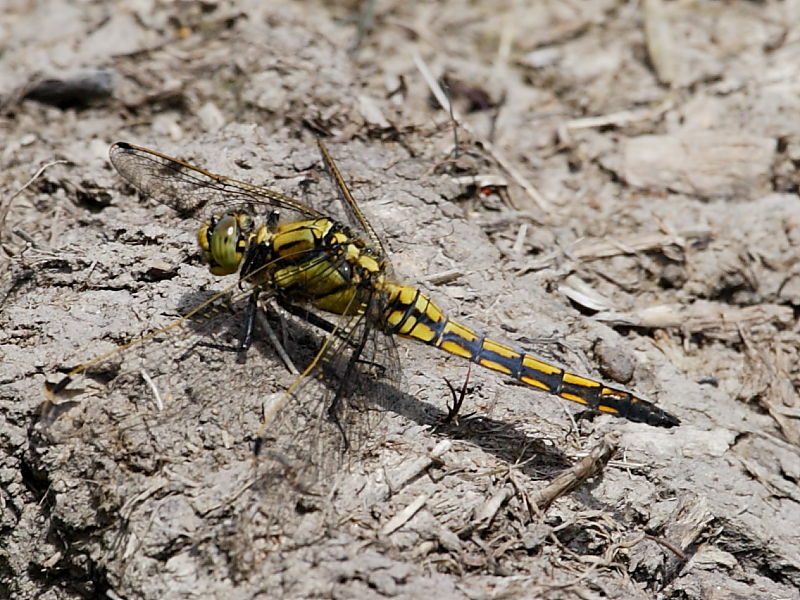 Insight into Black-tailed Skimmer (Orthetrum cancellatum): relatively common in southern parts of the UK, it inhabits slow moving and still waters. The males are extremely territorial and may hold territories extending over 50 metres of water-side bank. They also have a liking for areas of bare soil on which to perch and so newly dredged ponds and gravel pits may quickly be colonised. The species doesn’t favour waterways that become overgrown with bankside vegetation. Females are often found away from water, feeding around hedgerows but will be quickly mated with by the resident male when she visits to breed and ovipost.